Time to sell your Tradewinds West condo? Read about today's resort-market condo buyer. 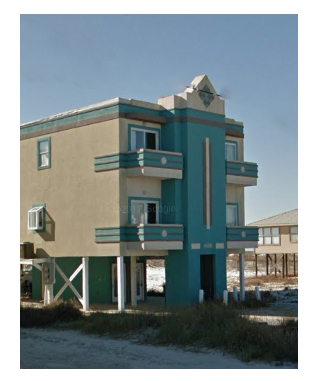 Tradewinds West is a condo duplex located on the West Beach side of Gulf Shores, Alabama. The building features two side-by-side units each holding 4 bedrooms and 3 bathrooms. Balconies on the first and second floors provide excellent views of the Gulf of Mexico and outdoor heated pool and sundeck. The property offers covered parking, a grilling area, and outdoor showers. Tradewinds West is a perfect destination for beach weddings or vacations with large families. Popular hot spots, Gulf Place and Gulf Shores's main public beach are approximately 2 miles away. This duplex is a highly desired rental and earned over $120,000 in rental income in 2016. Don't miss out on this great investment opportunity! Please let us know if you would like further info for Tradewinds West or any other Gulf Shores gulf front condos, homes or real estate along the Gulf Coast or would like to schedule a private viewing by emailing info@condoinvestment.com or by calling (251) Area-Pro (251-273-2776) for immediate assistance.